M-Edge products Universal Stealth Folio Case for 10 inch Tablets. 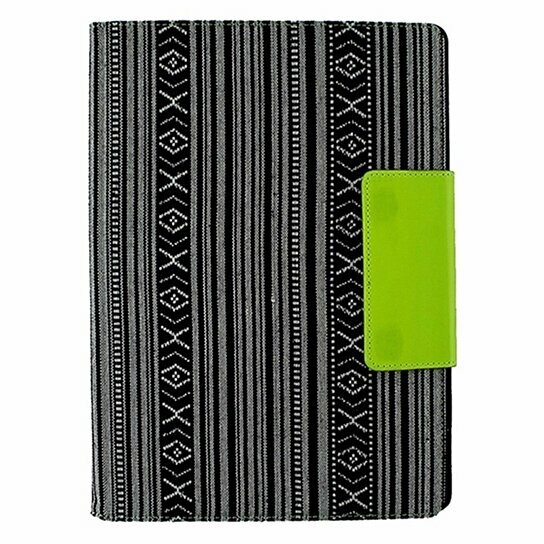 Black and white pattern on a fabric exterior with Neon Yellow closing magnet. Slim and lightweight. MultiFit Technology silicone mount expands and contracts to fit a variety of device sizes and thickness. GripTrack provides multiple viewing positions. Magnetic Closure.